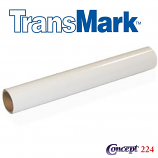 General Formulations® 235 MotoMark™ 4 mil "Grip"
General Formulations® 235 MotoMark™ 4.0 mil “GRIP” is specially formulated premium flexible matte white PVC film. This film has a unique “High Bond” acrylic pressure sensitive adhesive with a 90# layflat liner. 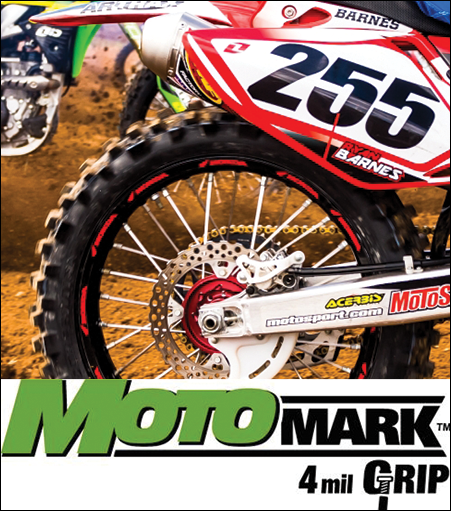 The adhesive is formulated for the powersport graphic and decal markets. General Formulations® 235 MotoMark™ can be printed on a variety of solvent-based, latex, UV and thermal printers that are commonly used in wide format. This product may also be printed on using other printing processes such as UV screen and UV curable offset but must be tested before production.